President Brian Cohn has been named a 2016 Automotive Aftermarket Education Award recipient by Northwood University. He was honored during a ceremony on November 1, 2016 at the Venetian Hotel in Las Vegas, in conjunction with the Automotive Aftermarket Products Expo (“AAPEX”). 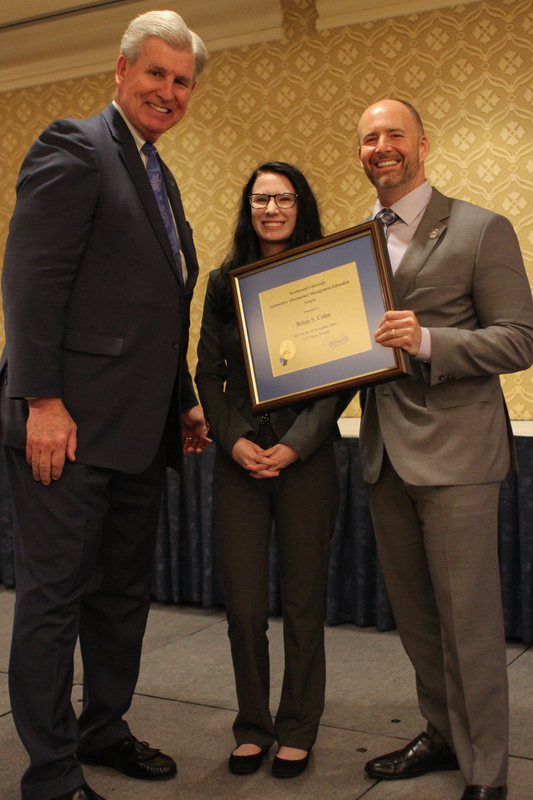 The Northwood University Automotive Aftermarket Management Education Award is given to industry leaders throughout the country who have made noteworthy contributions to education, on any level, inside or outside of the industry. Cohn’s commitment to educating the next generation is best seen through Multi Parts’ support of numerous programs positively impacting the evolution of the aftermarket. Under Cohn’s leadership, Multi Parts funds multiple Global Automotive Aftermarket Symposium Scholarships that, to date, have assisted more than 25 students pursuing aftermarket careers across the country. Additionally, Cohn led Multi Parts in developing and implementing the SPARK Initiative, a multi-day industry immersion symposium conducted annually at the AAPEX Show. Cohn helped conceive the SPARK Initiative to introduce the next generation of aftermarket professionals to the industry at its largest single event. Multi Parts provides financial incentives and support for its employees’ continuing and further education costs at the schools and programs of the employees’ choosing. Multi Parts also regularly hosts technical, administrative and executive interns at its Jupiter, Florida world headquarters.